Large Ships Bulkhead Nickel Plated Solid Brass 1 Light Flush Lamp. 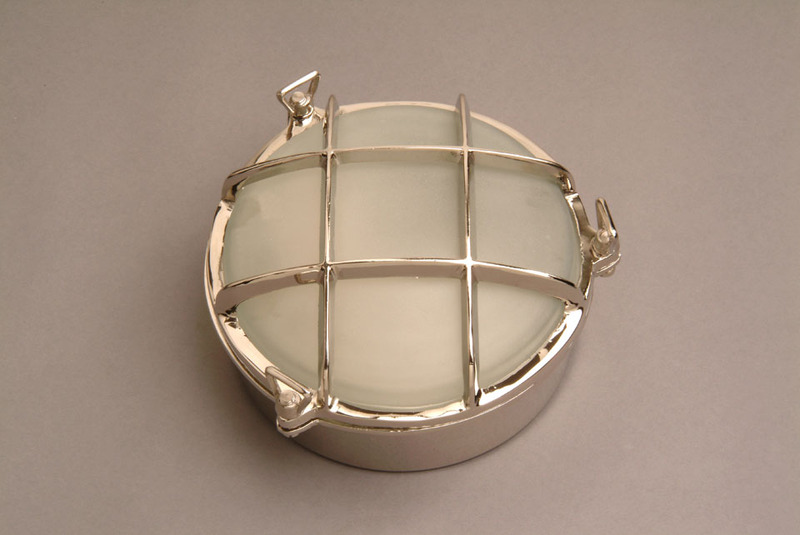 A traditional hand-made solid brass ceiling or wall lamp suitable for exterior use, and complete with frosted glass. This light fitting is hand finished in polished nickel.